It’s World Poetry Day, a day to celebrate and share the magic of poetry. To celebrate the day, my friend and wonderful poet Jackie Hosking, suggested a blog link up, with Australian children’s poets who have been published in The School Magazine posting about our experiences. If you don’t know, The School Magazine is celebrating is centenary this year. 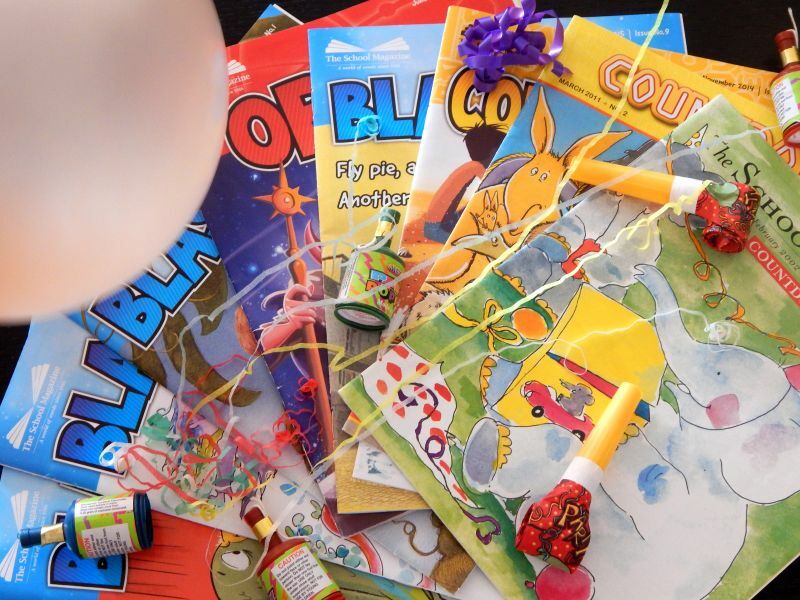 For one hundred years the magazine has been entertaining and educating Aussie kids with poetry, stories and more. That’s a massive achievement. Since 2002 I’ve had lots of poems published – in the School Magazine, in other journals, in books, and online, but I always feel an extra thrill of delight when one of my poems finds its way into the pages of the School Magazine. Happy World Poetry Day to you – and congratulations, School Magazine. You can see what other Aussie Children’s Poets have to say about World Poetry Day and School Magazine here. Hi Sally, it’s great to be part of this blog tour and to make contact with fellow poets. Thanks so much for your comment on my poem. I love how poetry can beautifully distill the essence of something and I think your poem ‘Summer Salad’ is a great example of that! Thanks Yvonne. It’s been lovely reading everyone’s posts and getting to know fellow Aussie poets.